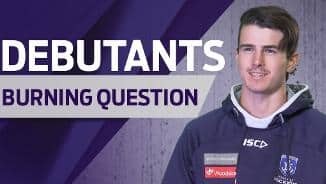 Ibbotson saved his best for last as one of Fremantle’s best on ground in their round 23 win against the Bulldogs. The addition of key back Joel Hamling in the off-season will allow the chance for the 186cm player to play more of an intercept and rebounding defender role in 2017. Garrick has had a really good summer and he ran well in the 3km time trial. He’s been working with some of our younger defenders and his experience has helped those players. Overall he hasn’t put a foot out of place this pre-season so he’s put himself in a good position for a solid year ahead. Solid in defence, ranking third at the club for marks per game (5.9). 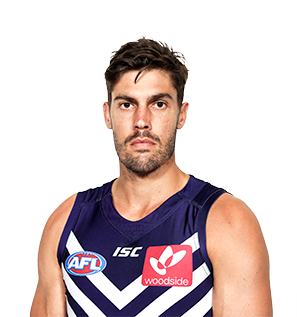 Instrumental in Fremantle’s round 23 win against the Western Bulldogs, earning two Brownlow votes. Ibbotson enjoyed one his best seasons in 2015 playing on tall and small opponents in the absence of more experienced defenders. His marking ability and drive from the back-50 were crucial in Freo's rise up the ladder. Ibbotson endured an injury-interrupted season, managing just 12 games. He did return to the team at the tail end of the year and was among the club’s best performers in the finals, including an excellent effort against Sydney. Ibbotson has been tremendous on Fremantle's half-back line in 2013, often as the loose man in defence. He's enjoyed his best season of AFL yet, however a troublesome Achilles injury that forced him to withdraw from round 19 kept him sidelined in the finals. Garrick Ibbotson played 23 of a possible 24 games in 2012 and reached his 100-game milestone in round 23 against Melbourne at Patersons Stadium. Finished 2012 ranked top 10 per game in kicks (11.3), marks (5), uncontested possessions (11) and rebound 50s (2.3). Ibbotson used the ball well by foot with 7.9 effective kicks per game – the sixth best average at Freo. 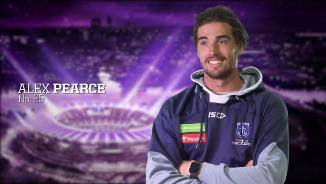 An incredible athlete, he has been a mainstay in the Freo side for the past five seasons and will look to add to his games tally in 2013 and beyond. Ibbotson played 18 games in 2011 after missing the first three matches of the season. He played mainly off half back and was serviceable, averaging 17 disposals per game. He was fifth at the club for total effective kicks (97) and uncontested marks (71). Ibbotson was also top five for loose ball gets (43), spoils (42) and rebound 50s (61). An incredible athlete, Ibbotson is entering the stage of his career when he will be expected to start hitting his peak, so look for him to have a big 2012 season. Ibbotson continued to improve in 2010, spending time in midfield and defence primarily in a run-with role. An injury sustained in round 2 prevented him from getting his season going, but after returning in round 8, Ibbotson regained form to average almost 15 disposals and four marks per game for the season.